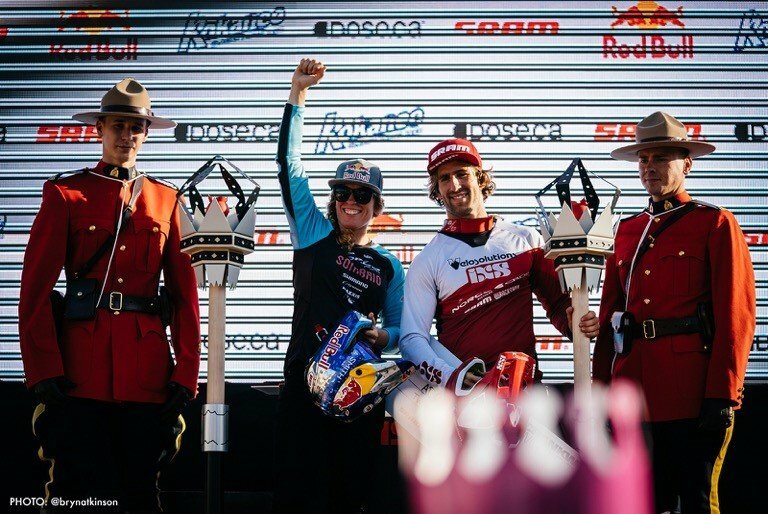 The conclusion of the Crankworx World Tour, which is a worldwide mountain bike festival spanning every gravity discipline of race and freestyle, was massive.The event attracted something ridiculous like 300,000 spectators over 10 days in Whistler. 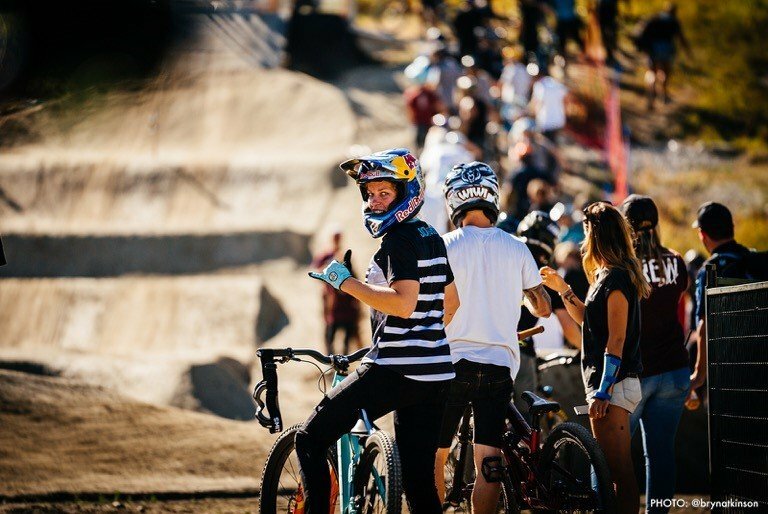 People came to ride the bike park, watch events, compete, party, etc. 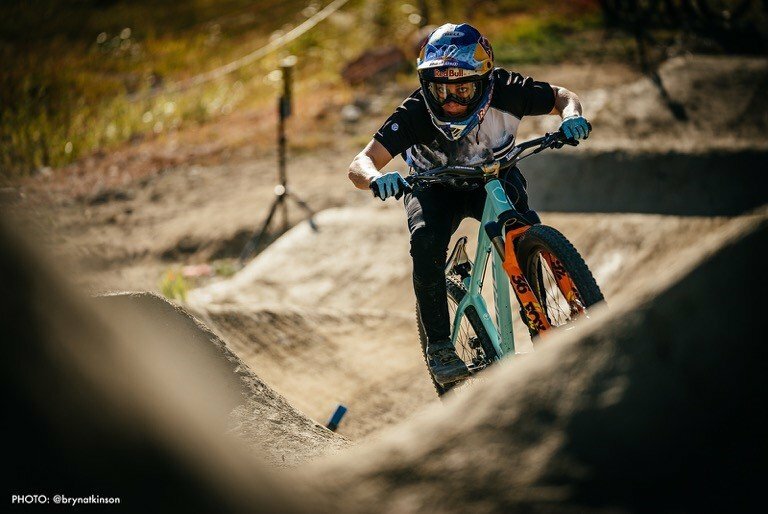 In general, it’s a pretty good time with all the stars of mountain bike in one place, and lots to do. My experience is a little more focused during the week. 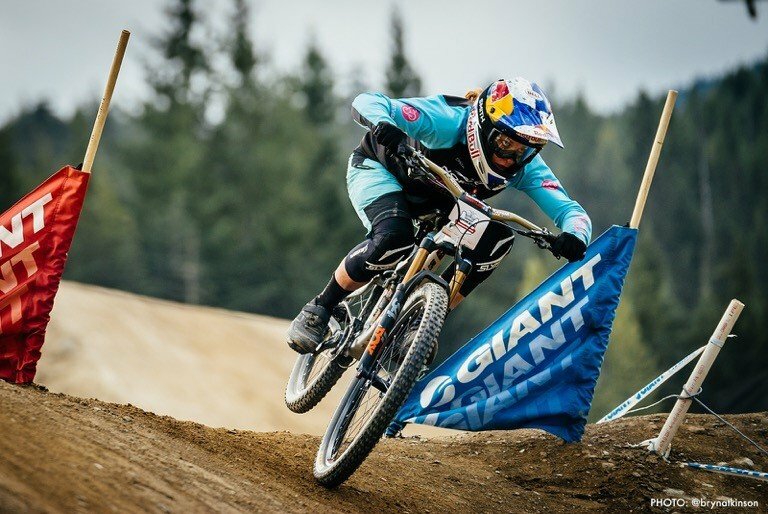 I to win the world title aka “Queen of Crankworx”. 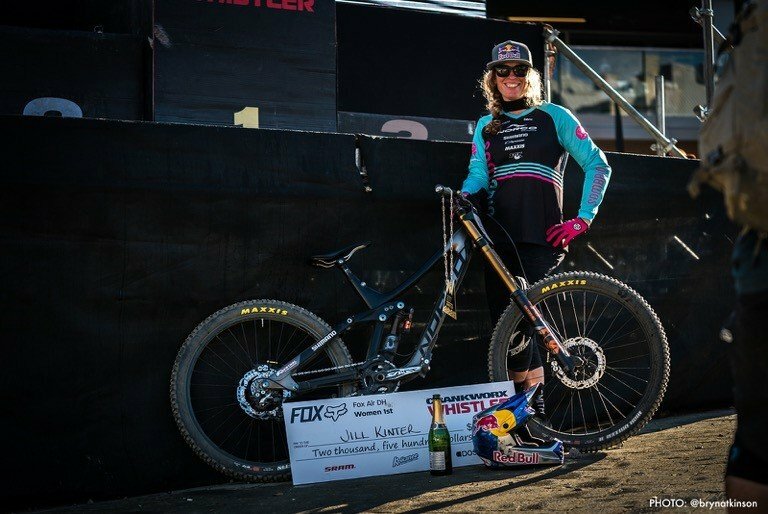 It’s really difficult to do and requires a lot of energy to practice a couple disciplines every day and then have a final back to back to back, switching between bikes. 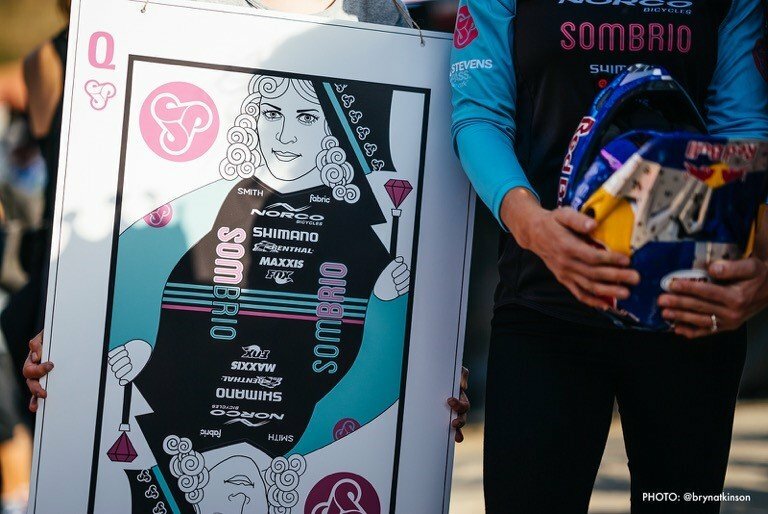 Having a good crew of support is key to making sure you are fed, rested, recovered, bikes are all prepped, and still have time to hi-5 a tiny smiling face in the crowd, and sit down and catch up with sponsors and friends so the moment doesn’t pass you by. Whistler is easier to maneuver than the other stops, because they done it here for 15 years, and I kinda know the drill. Events go on simultaneously, every event is worth points. One final could be at night at 9 pm, then podium, eat, sleep repeat, for an 8 am practice the following morning. It’s pinned!!! I always think it’s better to win than be average in everything, so there is a bit of strategy involved. 4 stops are difficult; you need to survive all that New Zealand, France, Austria, and Canada can throw at you over 6 months without any mistakes, and it always comes down to Whistler because they have the most events in a week. In the end, I was able to wear the crown again as Queen with a couple of wins and a tight battle in pumptrack. The relief is massive, the party after was epic, and now I am a tad richer for my efforts =). In racing, you never know what can happen, there is always some adversity to overcome with injury, nerves, or life etc. I had my up and downs with a shoulder injury in NZ, more hype than I have ever seen at an event with an annoying rival, a new mechanic to break in, etc, but I took risks where I needed to, trained hard, and got it done!! To reclaim this title on the world’s biggest stage with a target on my back as the reigning Queen means a lot!! It’s pretty special as an athlete to be able to reach so many people to share the experience. Riding bikes and traveling the world is a pretty good gig! Love my job!! Thanks to everyone who has been a part of the process.